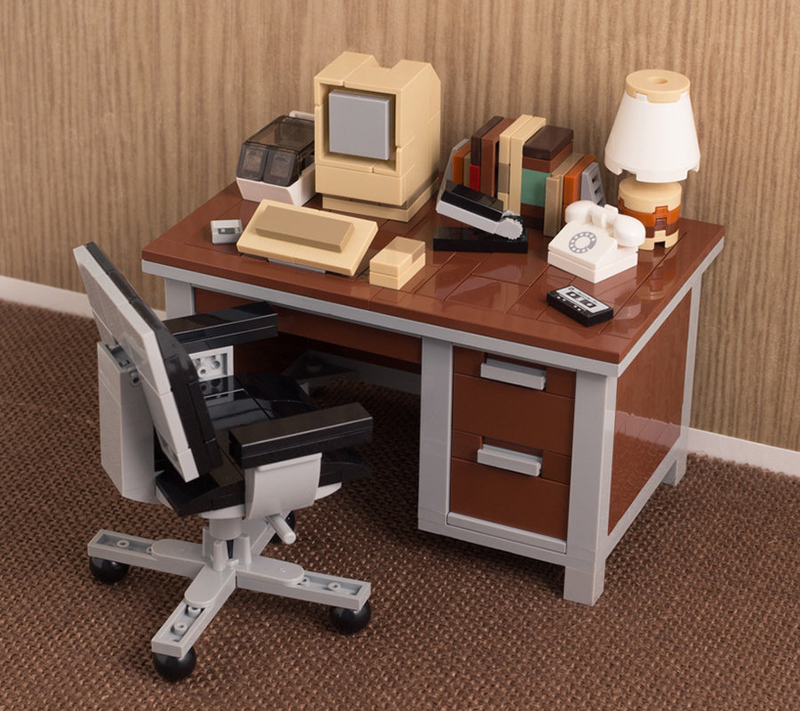 illustrator, photographer, and LEGO-builder extraordinaire chris mcveigh has a knack for toy brick building. 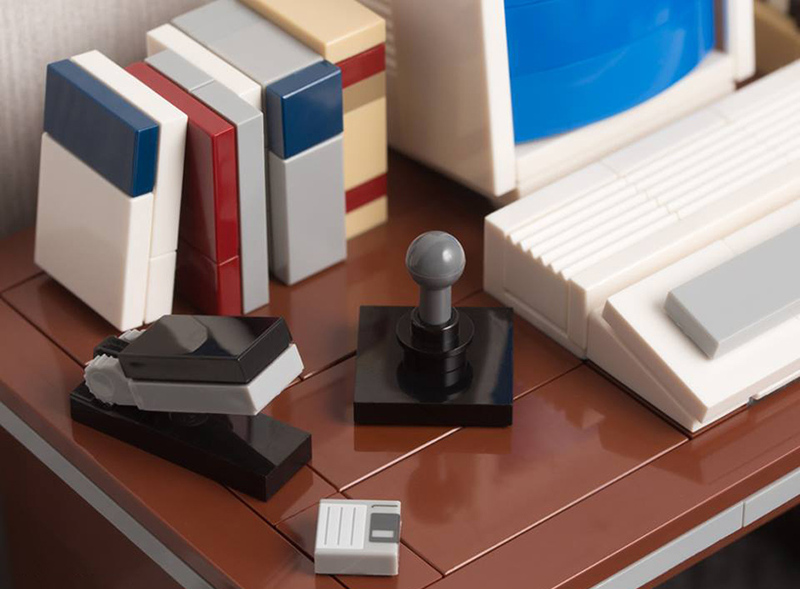 the nova scotia-based creative designs highly-intricate models of everything from food and furniture, to bonsai trees and pinball machines. 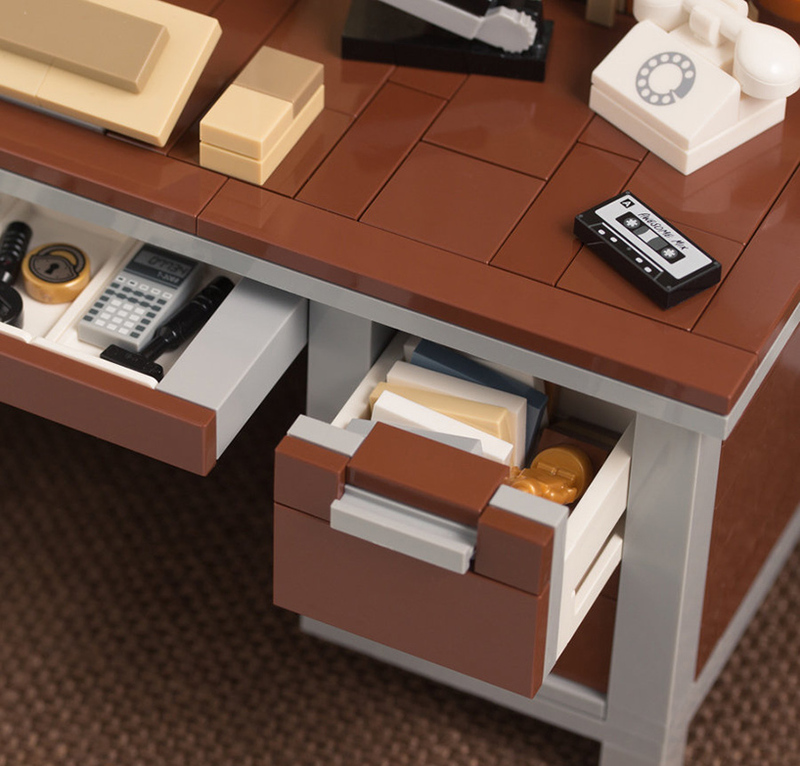 mcveigh furthermore develops building guides for each of the LEGO sets, providing carefully-illustrated, step-by-step construction instructions for each kit’s assembly and enjoyment. 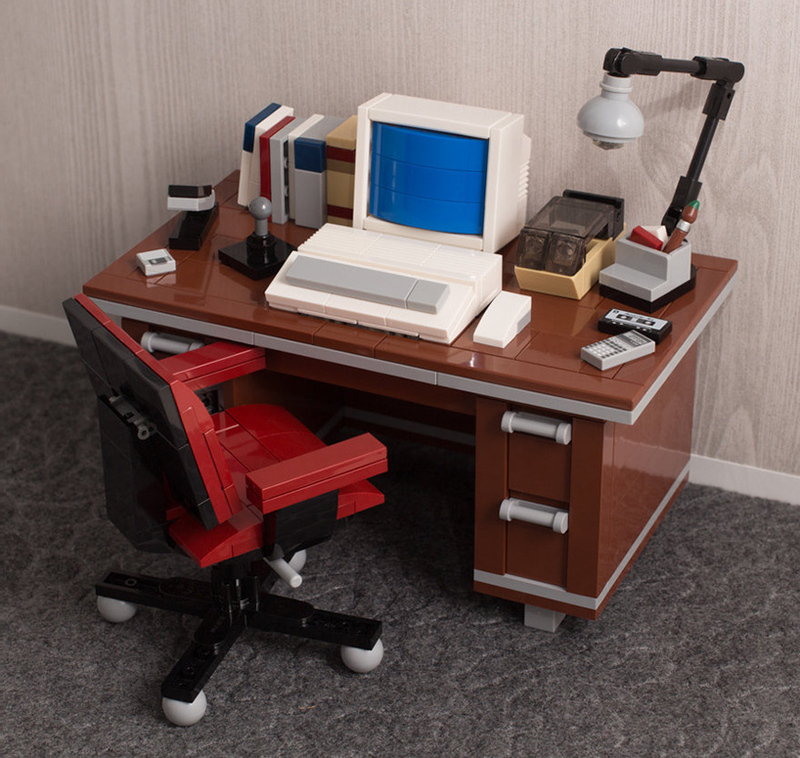 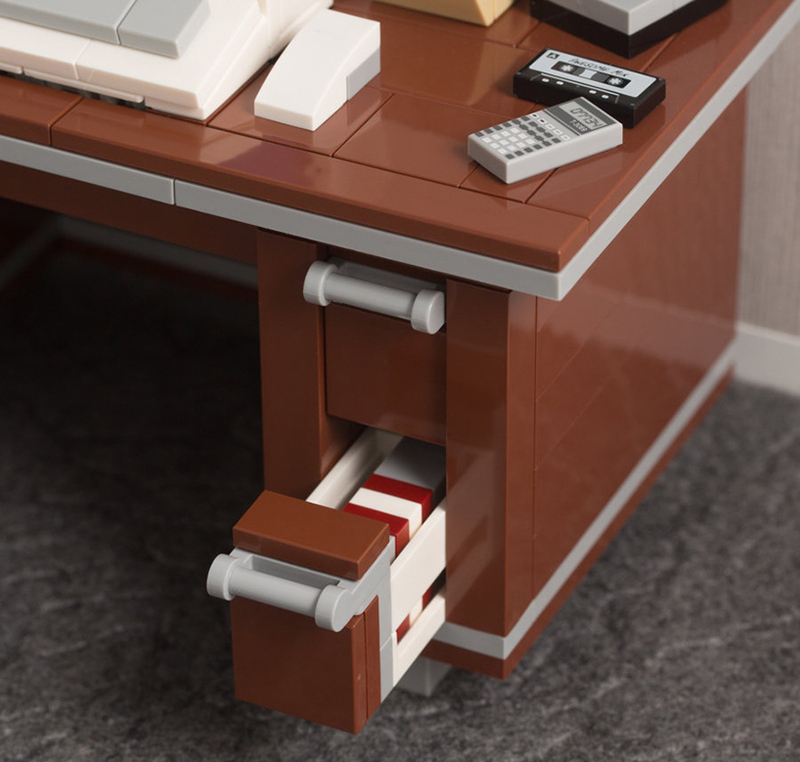 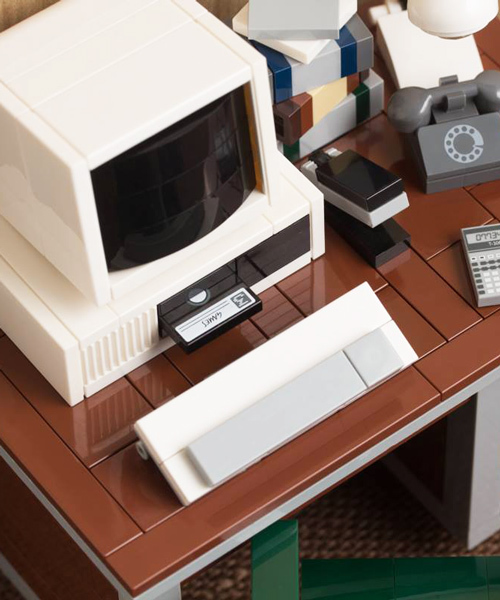 mcveigh’s most recent LEGO-undertaking is the creation of a series of computer desk building kits ripped straight from the 1980s. 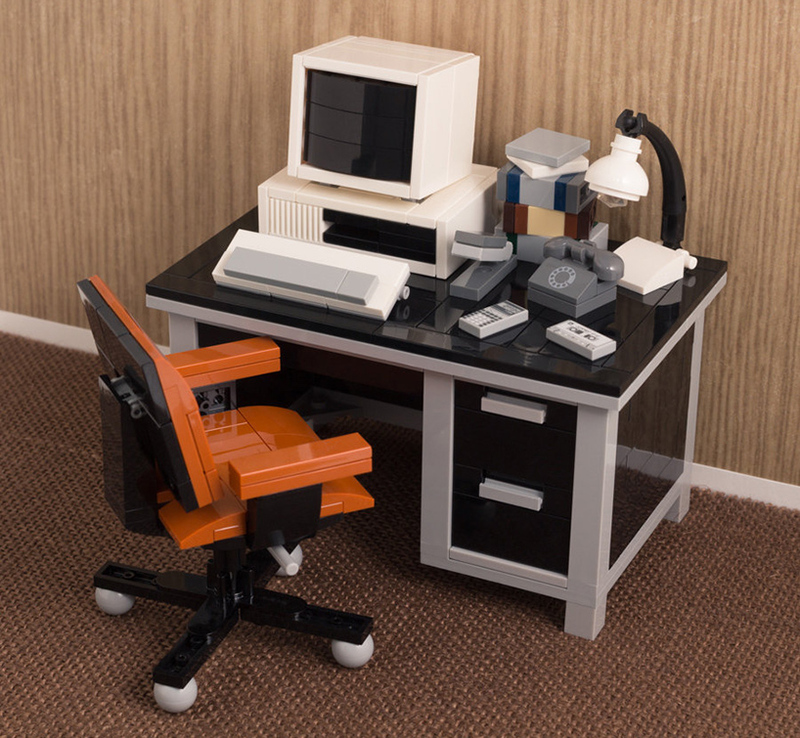 the nostalgia-inducing sets comprise colored swivel chairs and a huge range of mini-models to arrange on the desktop. 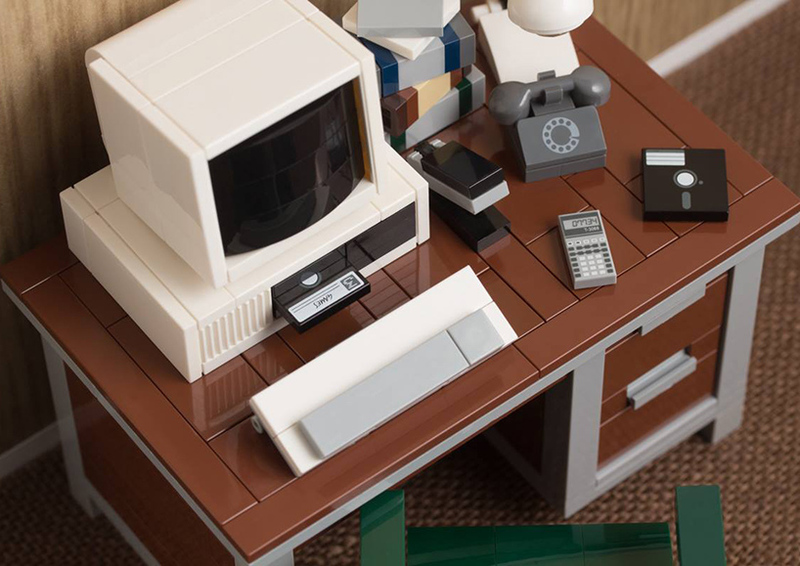 a ‘vintage’ computer, lamp, disk case, telephone, stapler, and books are a few of the seemingly antique objects included in the ensemble. 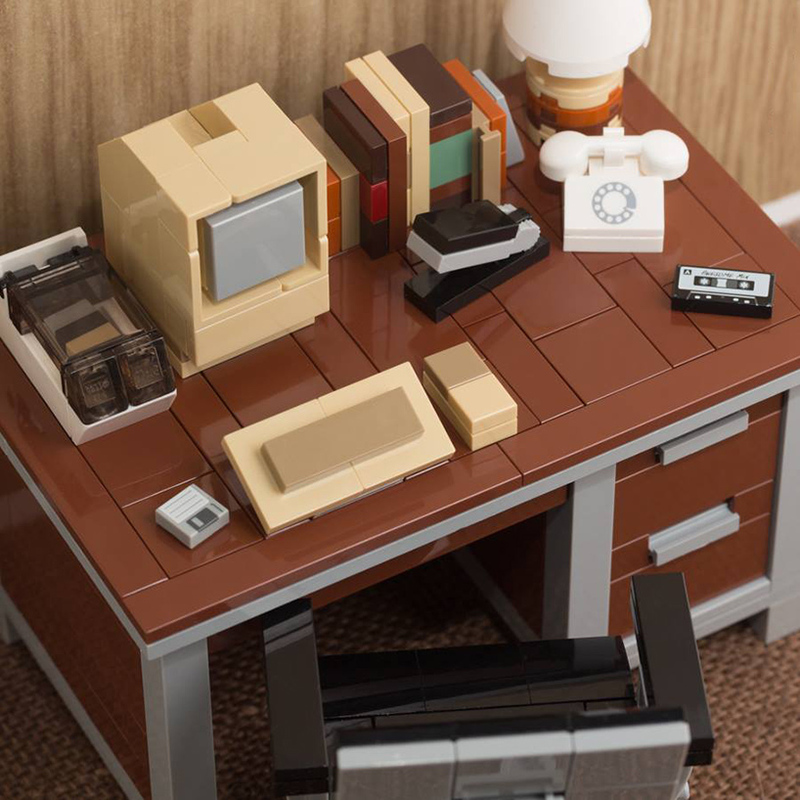 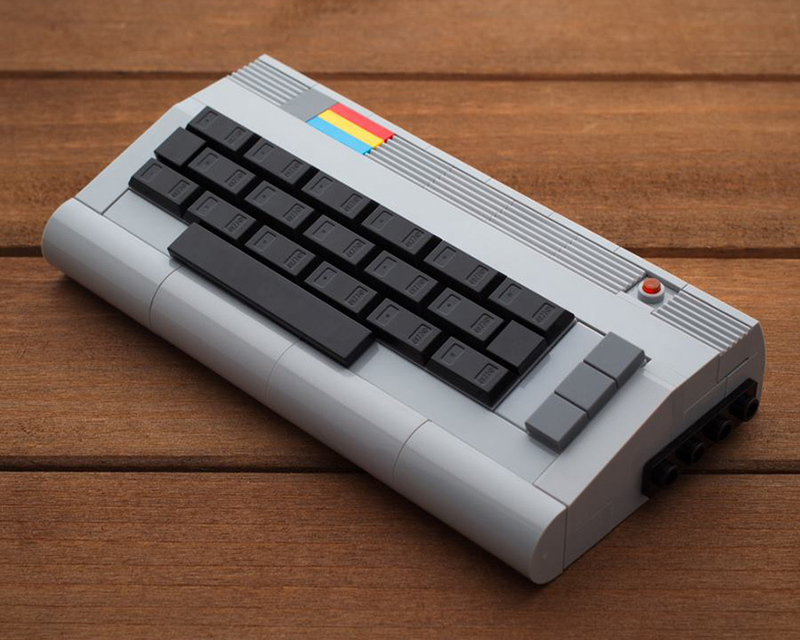 some kits also feature custom-printed parts in the form of token retro items, like 3.5″ floppy disks, cassettes tapes, a calculator, and a printed slope with a rotary dial pattern. 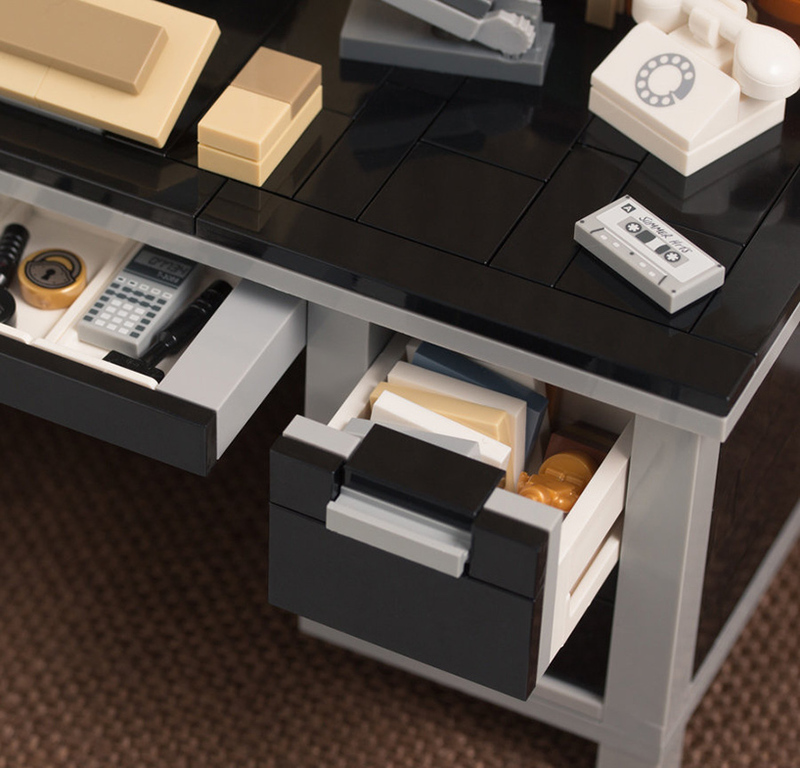 downloadable building guides allow users to construct the compositions on their own, alongside detailed, step-by-step instructions.